Daredevil is an amazing comic book that was adaptated to film once before and didn't go over too well, to say the least. 20th Century Fox have been toying with the idea of re-booting the film in hopes to have some of the same success that Iron Man and Batman franchises had. It seems that 20th Century Fox is actually doing alot more than toying with the idea, instead they are, "something we are thinking very seriously about." IESB has an exclusive interview with co-chair, Tom Rothman in which he discusses his and 20th Century Fox's desire to bring the comic back to the big screen. IESB asked Rothman what would it take to get the film made and Tom was very clear in his answer. Rothman said, "It needs someone, it needs a director, honestly, who has a genuine vision. What we wouldn't do is just do it for the sake of doing it. Right? What we try to do is to get a creative engine for it, that really had a great vision for it, that's what we would look for." Clearly, Rothman and Fox have learned from their mistakes with the first Daredevil, Elektra, and the Rattner version of X-Men. They know that these comic properties need a true vision to get them made in the right way. Favreau has proved that with Iron Man and Nolan has set the bar very high moving forward with comic book properties. I think studios have learned that fans and general movie-goers do not want Fantastic Four, the 1990's Batman films and Ghost Rider style series. Nolan, Raimi, Singer and Favreau have set a new standard and level of expectations when it comes to these properties. IESB asked if there will be any potential speed bumps in getting the film made. Rothman answered by saying, "No. We've got all the rights. And yes, I think that the thing the Hulk showed although, it did what it did, is that it is possible, that if you really do it right the audience will give you a second chance." 20th Century Fox has the rights and has the desire to get this property done right, but who is the right director for the film? Martin Scorsese has a passion for all things New York, could you imagine what he could do with a property like Daredevil. It has all the makings of a Scorsese film, gangsters, a great and multi-dimensional protagonist, and dark tone that Scorsese is perfect at exploiting. I know this is a huge stretch, but damn it, it would be down right amazing to see what he could do! 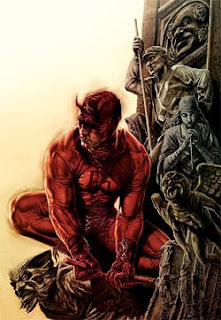 Frank Miller, wrote some of the best Daredevil stories has also showed interest in directing the film. Now Miller, is an icon and would obvisouly have vision with something he wrote for 6 years, but would we just get another Spirit and Sin City. I think fans wouldn't appreciate the same style reguritated again. 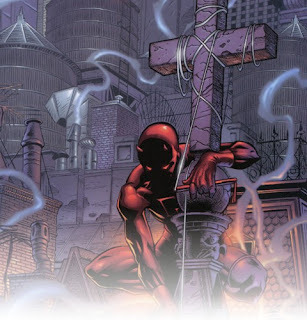 I would bet FOX is waiting to see what happens with The Spirit before they let Frank Miller in the door for Daredevil. Statham had said back at Comic Con that he'd love to play Matt Murdock aka Daredevil and under the right direction (Scorsese, in my opinion) he would be perfect. Statham and Miller are both keen are working together on the project.